12-year-old Alex Frye checks his special viewing glasses prior to viewing the partial solar eclipse from a highway overpass in Arlington, Virginia, on Thursday, Oct. 23, 2014. Two UMSL optometrists discuss the upcoming solar eclipse and proper eye safety and equipment you need to view the eclipse. 1. The only time it is safe to view the eclipse without eye protection is during totality (when the moon completely covers the sun). 2. Looking directly at the sun before or after totality can cause permanent eye damage. 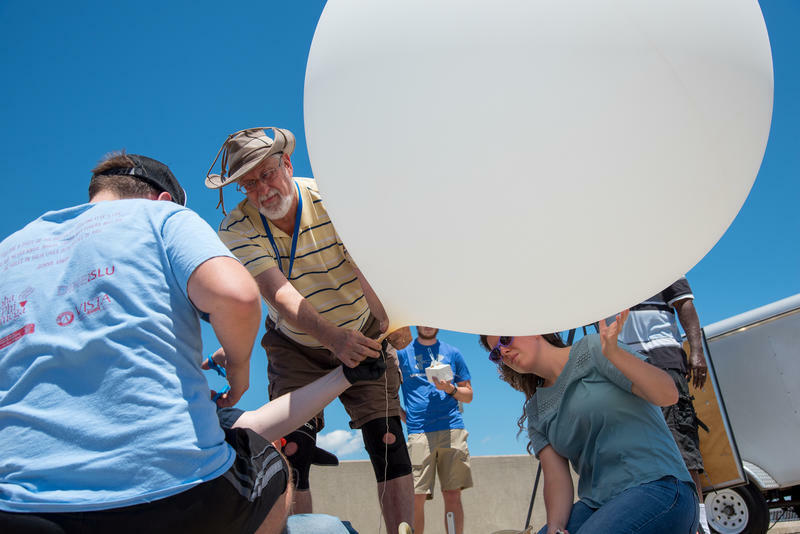 If you look directly at the sun before or after totality, Davis said that patients might experience changes in color, the addition of wavy lines to vision, loss of central vision and watery eyes. 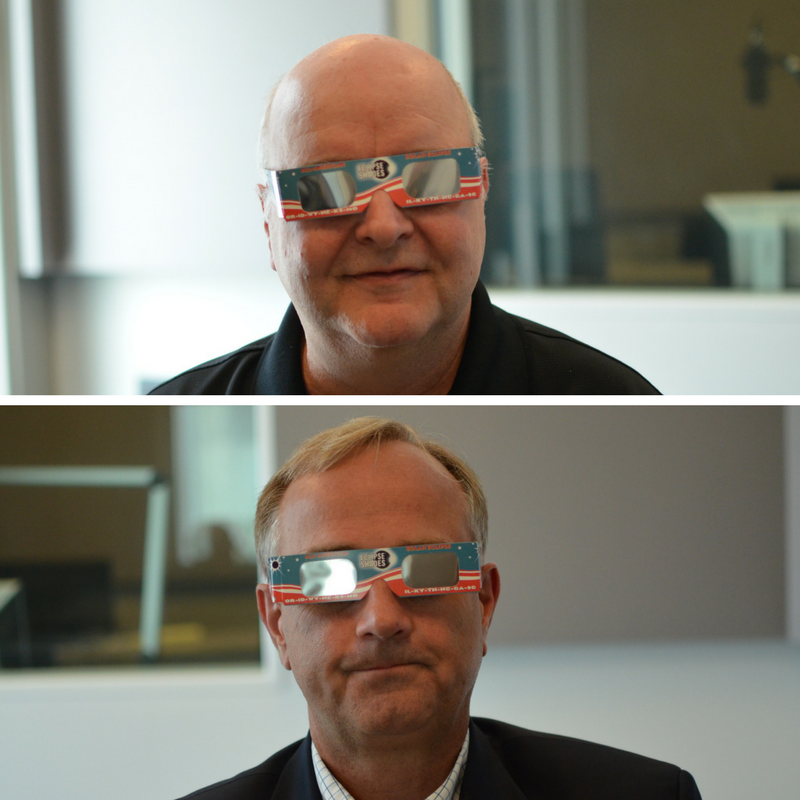 Dr. Carl Bassi and Dr. Larry Davis, the director of research and dean of the UMSL College of Optometry, demonstrate how to properly wear solar eclipse glasses at the St. Louis Public Radio studios. The condition is called solar retinopathy. Essentially the high-intensity visible light causes retinal burns. Exposure of the retina to intense visible light damages light-sensitive rod and cone cells in the eye, triggering chemical reactions that damage the cells’ ability to respond to visual stimuli, which results in loss of vision for short or long period of time (depending on the severity). Damage to the eye from an eclipse impacts the most acute, precise vision in the central part of the eye, what you would use to read. Bassi said that in many cases, “eclipse blindness” is a transient process and can clear up after a few months, but that there are certainly some people who have permanent loss of vision from it. 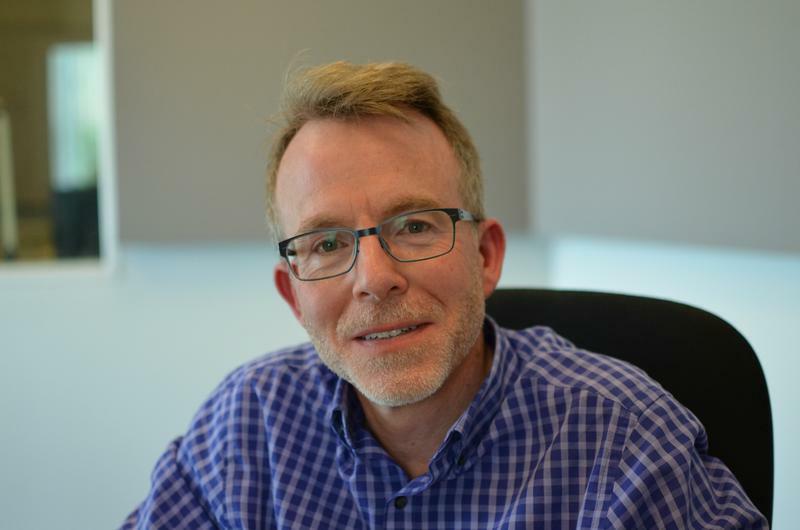 A recent NPR story on the subject, cited a doctor who said half the time, eye damage is permanent. 3. What can you use to protect your eyes and view the eclipse as it approaches totality? Your safest bet is solar eclipse glasses, unless you have a bunch of aluminized polyester lying about. You can also use Welders’ filters graded 12 to 14 from welding supply companies. Do not wear sunglasses: they do not block the right wavelengths of light. Do not try to view the eclipse through your camera lens: it actually magnifies the damage without a proper filter. 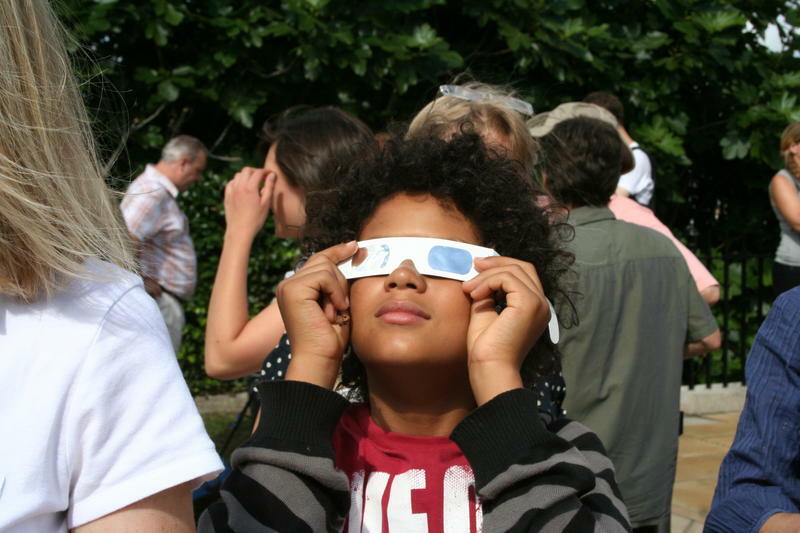 “Eclipse glasses” or “eclipse viewers” use black polymer or aluminized polyester as a filter material to view the eclipse through, blocking visible and near-infrared radiation from reaching the eye, and are shaped like glasses to fit over the ear. Your only other option to view the eclipse is to view it non-directly using a pinhole (here’s how). 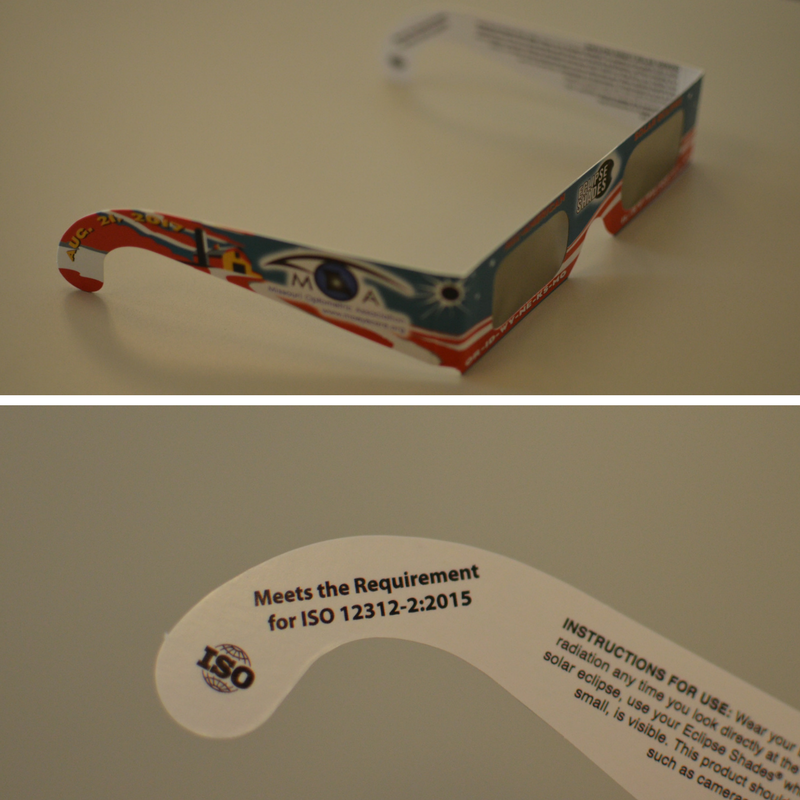 What solar eclipse glasses look like, including the proper ISO designation on them. Look on the glasses for a number preceded by the letters “ISO,” which stands for International Organization for Standardization, reading “12312-2” or “12312-2:2015.” This means requirements have been met by the glasses to protect your eye. There’s no way to check if the glasses’ filter meets the ISO standard for yourself and some bad seeds may try to sell glasses with a fake label on them. The AAS Solar Eclipse Task Force has compiled this list to see if the seller you’re buying the glasses from is reputable. Make sure the glasses do not have scratches or wrinkles on them. 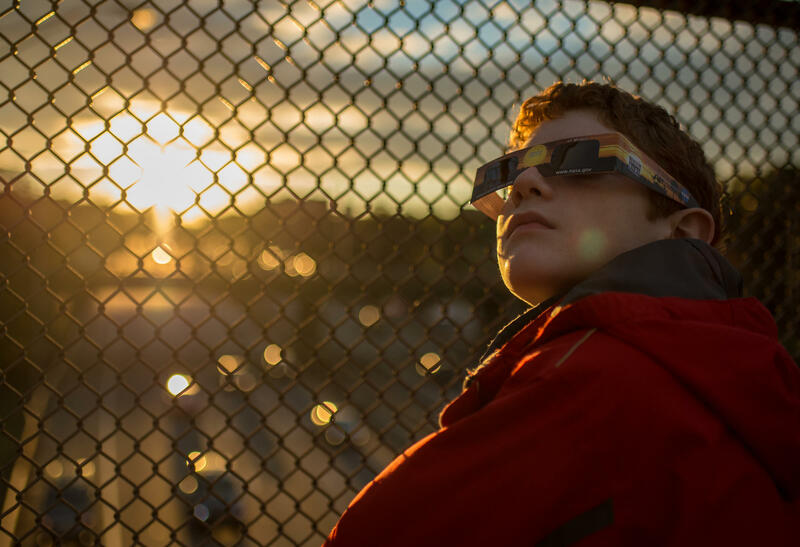 If you can see anything through the eclipse filter, including the sun or something that is comparably bright, and the light coming through the filter is not dim, you likely have a pair of fraudulent or damaged solar eclipse glasses. Safe glasses would produce a view of the eclipse that is about as bright as the moon.